Equipment Leasing Blog: Medical Equipment for Hospitals, Clinics and More! Medical Equipment for Hospitals, Clinics and More! From doctors starting their own medical practice, to established hospitals and clinics, health professionals can turn to medical equipment leasing to acquire the supplies and upgraded equipment necessary. Tiger Leasing wants to be your medical equipment and supplies provider, and we've made it easy for healthcare professionals to upgrade or grow with the right medical equipment. With over 30 years in the equipment leasing business, our team of professionals understands how important it is to work with people you trust, which is why we've created BEN, our Business Equipment Network. This program allows our clients the opportunity to work with trusted medical equipment leasing vendors, to acquire the equipment with the right financing. Medical Equipment Leasing is 100% financing, which means you can include soft costs like shipping, software, training and installation into your lease. This means that you and your team will have the right equipment, when you need it, and know how to use it without having to invest more money. Your patients will receive the best possible care while you overcome budget limitations. Medical equipment leasing also allows you to eliminate equipment obsolescence. You can regularly upgrade your equipment to the latest and greatest medical technology, avoiding the pitfalls and difficulties outdated equipment can bring. 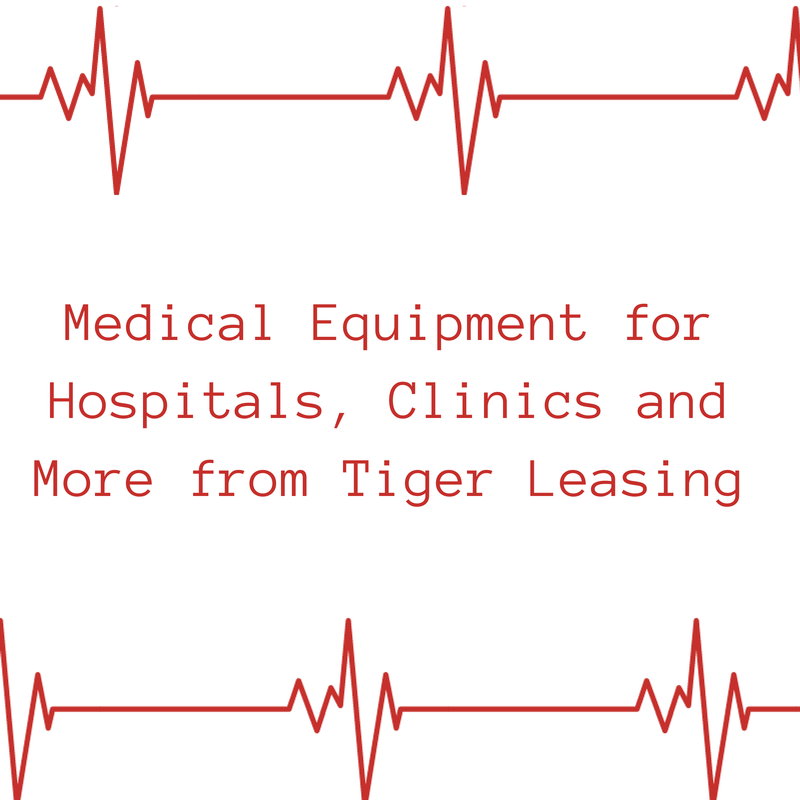 For more information on medical equipment leasing, the benefits of working with Tiger Leasing, or to learn more about our equipment vendors, please contact Tiger today! We look forward to hearing from you!